Martin Seay has been elected by the Financial Planning Association’s board of directors as the 2019 FPA President-Elect for a one-year term beginning January 2019. He will serve as president in 2020 and conclude his leadership role as chair in 2021. "FPA represents the present and future of the financial planning profession through its focus on informing the practice of financial planning and shaping the environment in which it is practiced," says Seay. "I look forward to working with the members, volunteer leaders and allied partners to reaffirm and enhance FPA as the home for CFP® professionals." Seay is the program director and associate professor for personal financial planning. His research focuses on borrowing decisions, how psychological characteristics shape financial behavior, and methodology in financial planning research. His work has been published in the Journal of Financial Counseling and Planning, Financial Services Review, Journal of Consumer Affairs, Journal of Financial Services Professionals, Journal of Financial Planning, and Journal of Financial Therapy among others. 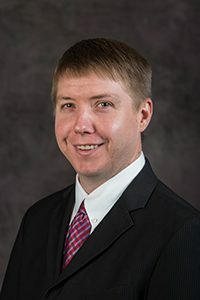 His research has been recognized by the 2014 and 2017 FPA Annual Conference Best Applied Research Paper Awards, the 2016 CFP Board of Standards’ ACCI Financial Planning Award, and the 2016 Montgomery-Warschauer Award, which is awarded by the Journal of Financial Planning for the paper that provided the most outstanding contribution to the betterment of the profession in the previous year. Additionally, he was awarded the Kenneth Tremblay Early Career Housing Award from the Housing Education and Research Association in 2016. Read the full press release from the Financial Planning Association here. This article was posted on Wednesday, October 10, 2018, and is filed under College News, Family Studies & Human Services, Institute of Personal Financial Planning.